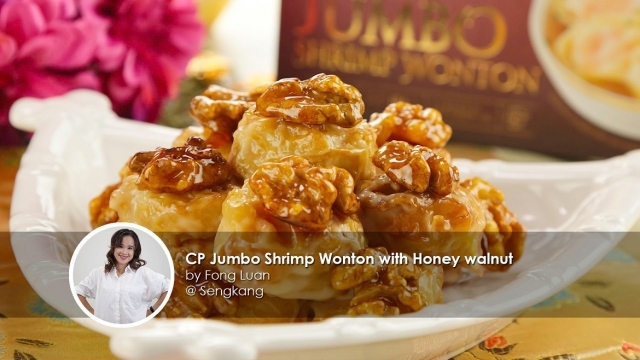 Know of someone who loves CP Shrimp Wonton? It's a must-have for CNY steamboat! So what’s for this year? 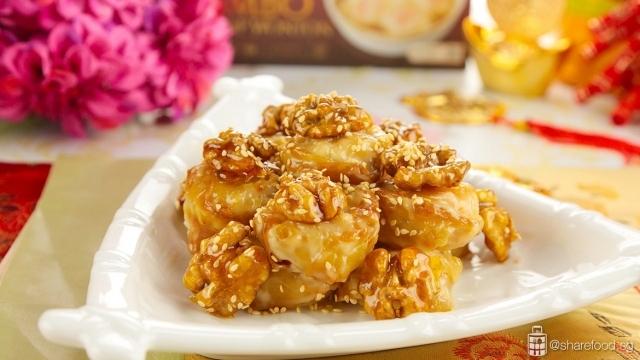 Instead of having it with steamboat, how about giving it a twist and add that extra crunch to your CNY reunion dinner. 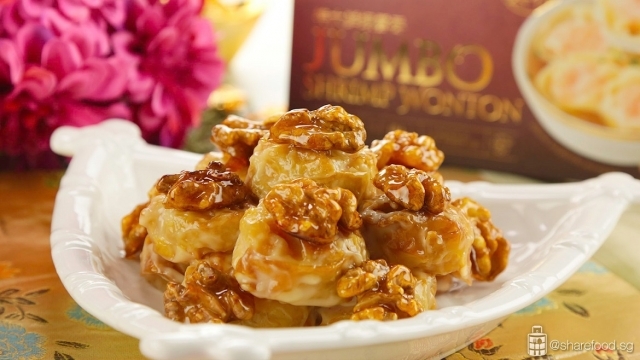 This CP Jumbo Shrimp Wonton with Honey Walnut dish is so simple to make! No thawing is required, you can air-fry the wonton straight out from the freezer. Brush a layer of oil and air-fry for 10 mins till the skin turns into a perfect golden brown – in a healthier way. This dish was inspired by the mayonnaise prawn that's served on the cold platter and preparing this with CP Jumbo wonton is awesome too! The prawn was almost double the size of the version all of us are used too; it’s fresh and crunchier on the bite. You can serve this dish in 2 ways. Either coat it with mayonnaise or serve the mayonnaise on the side. Serving it on the side will be a wise idea if you are unable to serve this dish immediately. This is a cooking method that Share Food loves! Have a recipe that you would love to share with us? We want to know more https://www.sharefood.sg/submit-your-recipe/! In a saucepan, boil 1 cup water. Add in sugar, stir until the sugar are fully melted and thicken. Stop stirring, allow it to boil and turn golden brown. Add walnuts to the caramel. Lower the heat to its minimum, stir for 1 min to coat the walnut evenly. Place a tray laid with baking paper next to the pan, transfer the walnut piece by piece on the tray and allow it to dry. Place the frozen wanton in the air-fryer. Spray and coat the surface with a layer of oil. Air-fry at 200oC for 12 mins till golden brown on all sides. Set aside in a mixing bowl. In a bowl, mix mayonnaise, honey, sweetened condensed milk, lemon juice and salt evenly. Pour this mixture into the bowl of wanton. Toss gently to mix evenly. 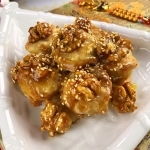 Transfer to a serving plate, top with the sugared walnut and sesame seeds for garnishing. Serve immediately.